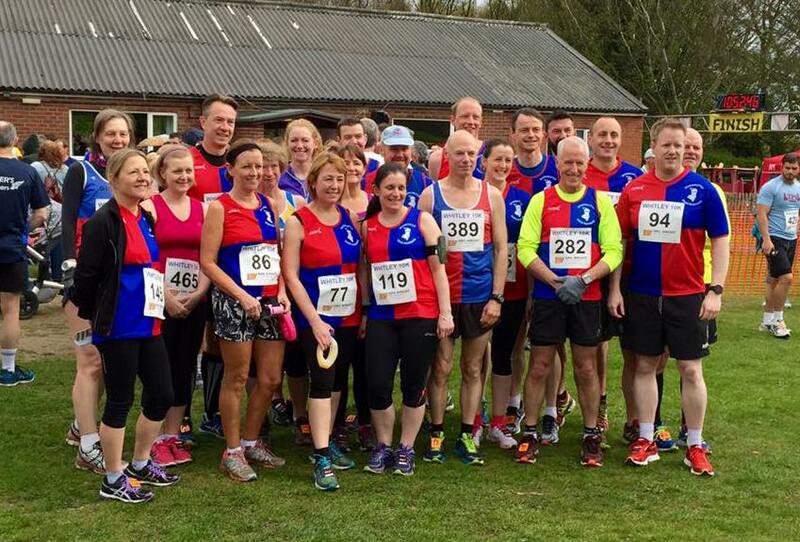 Whitley 10k is organised by the Whitley Village Hall Race Committee. The race follows an accurately measured course through beautiful Cheshire country lanes, with chip timing. There are prizes for 1st, 2nd and 3rd-placed men, women, and veterans, as well as a medal for every finisher. 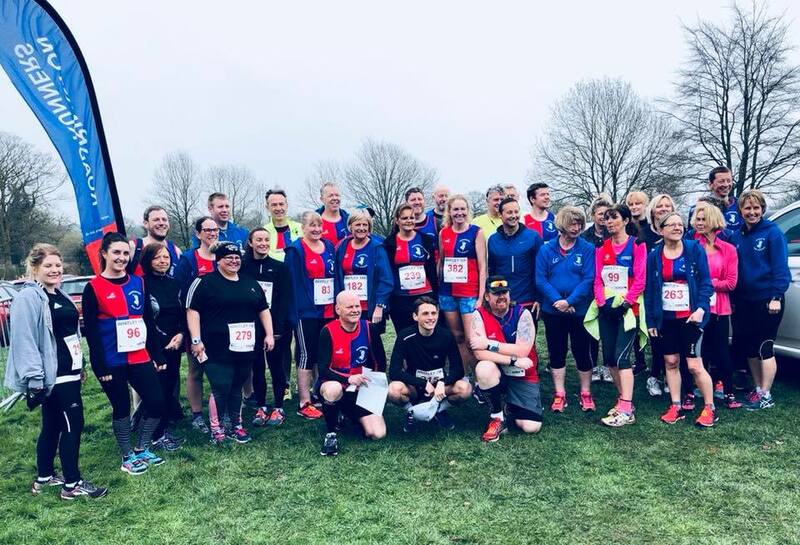 There is also a Whitley Fun Run which starts a few minutes after the main 10k race, and follows a 4.7km / 2.9 mile course (not accurately measured) - perfect for the beginner. The start and finish are adjacent to the Village Hall. Car parking is available in the field beside the Village Hall or in a field opposite. Refreshments are available for purchase, and there are some changing facilities for runners. The start time is usually 11am, and you will need to arrive in time to collect your number and chip before the race. Many roads around the village will be closed for the race. Approach from A49/Street Lane/Village Lane. Entry details and other details can be found on the 10K Website. 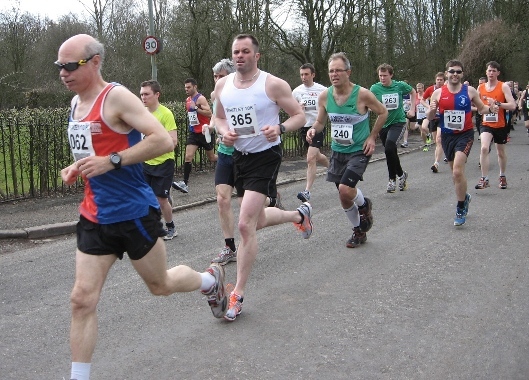 There was another large turnout for the Whitley 10K, including an number of beinngers for who this was their first 10K. Mark led the club home and there were club records for Tracy and Gill. There was a huge turnout for the Whitley 10K on a chilly springs morning. An impressive 29 members achieved a club standard. Mark led the club home in 11th position. The club had a huge turnout for this popular local race. 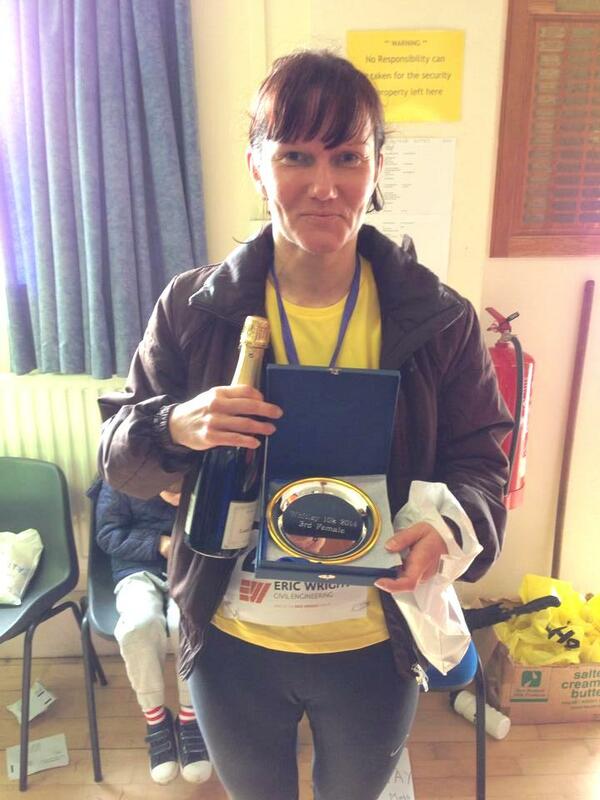 Well done to Tarja for coming first in her category and to Steve for a top 10 place. There was a good turnout on a windy Sunday morning for this race. Several new club members made impressive debuts on what is quiet a tough 10K course. The race was not held in this year.